Where's all the stuff for big dogs? Petco is not my pet store of choice. But when I heard they had Star Wars items I just had to go. 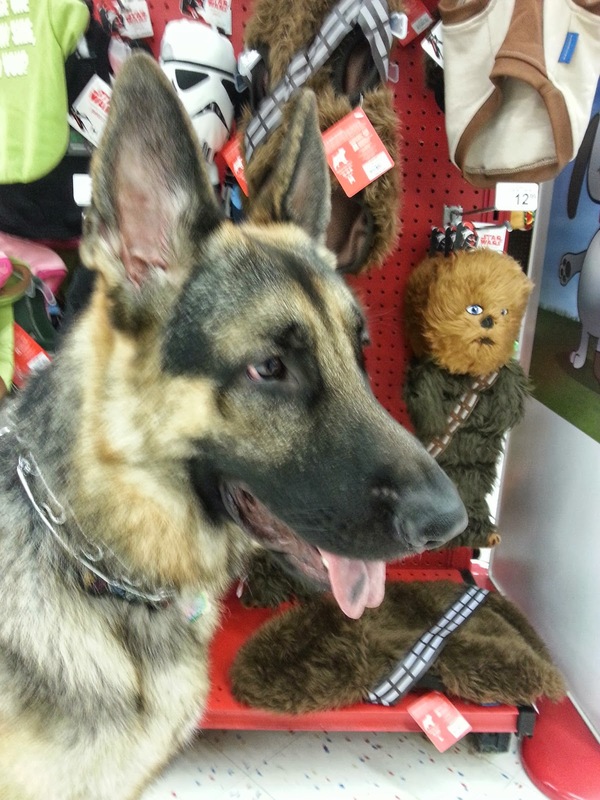 I've been looking for a Darth Vader costume for Jedi for weeks now, but can't find anything to fit an 80 pound dog. I can understand if we're talking Yoda (he's tiny) but Vader? Come on! He's big and scary looking.